Caribbean 21 is one of the more original blackjack variants on the market. It is also better value for money than your run-of-the-mill Australian blackjack game, but only if you know the correct strategy. Why, then, is this most interesting blackjack game so far hard to find at trusted Internet casinos? A hand of Caribbean 21 is dealt just like a standard European blackjack game. Each player receives two cards, face up, and the dealer takes a single up card. Unlike American-style 21, the house does not take a hole card. Cards are scored in the same way as a regular blackjack game. All spot cards (Deuce through 10) rank at face value, while Jack, Queen and King are each worth 10 points. There is, however, one big exception to the norm: Aces always count as one point, never as 11. The aim, as usual, is to beat the dealer without exceeding 21 points. The strongest hand is called Caribbean 21, which consists of an Ace and two 10-point cards. It pays 3 to 2, although not after splitting, while all other player wins pay even money. The house wins all ties, including on Caribbean 21. When the dealer’s up card is an Ace, players have the option to take the insurance bet at any time during their hand. It is possible to add to the insurance stake throughout a hand, as long it does not exceed half the player’s total bet. 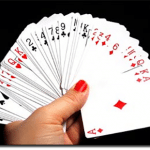 The side bet pays 9 to 1 if the dealer’s second and third cards are both 10-pointers. * Online versions can use an infinite number of 52-card digital decks. Caribbean 21 strategy is quite different to that of a standard European or American blackjack game. Because you can split any two initial cards, the rank of each card must be taken into account on starting hands – not just the total. The extra freedom granted by liberal doubling rules also affects the ideal mode of play. Below is a composition-based Caribbean 21 strategy devised by Michael Shackleford – the self-proclaimed ‘Wizard of Odds’. The house edge with this system comes to about 0.19 per cent, which makes C21 one of the most player-friendly forms of blackjack for those who can stick to the strategy. 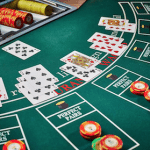 With a low house edge tempered by unique rules and a complex strategy, Caribbean blackjack seems like a must-have for online casino operators. That’s not the case, however, and Australian gamblers will struggle to find this title at reputable casino sites. Why? For starters, it was never especially popular among punters. When there are so many good-value blackjack games online, many of which feature standard Vegas rules and require simpler strategies, learning a more difficult game for the sake of 15 to 20 cents in every $100 could be considered a waste of time by some. Having won more than $1.3 million on RealTime Gaming’s digital version of C21 at Hampton Casino, a player by the handle ‘Pirateofc21’ was denied his winnings on the grounds he had voided the terms and conditions of play by using robot software. Thorough auditing found the game to be in perfect working order. ‘Pirate’ pleaded innocence and took his fight to the Internet chat forums, where it snowballed into one of the biggest controversies in the history of online gambling. It turned out the folks at Hampton Casino simply didn’t want to pay what they owed. Their feeble excuses and accusations were torn apart as the story hit mainstream media, RealTime’s reputation was permanently tarnished and Caribbean 21 was removed from circulation. Check out our list of trusted blackjack sites and you will see we do not endorse any RTG casinos.